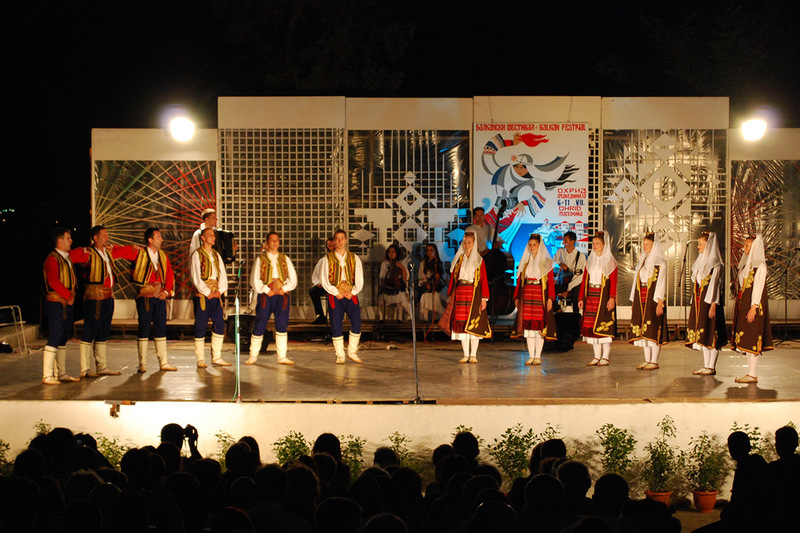 Balkan Folklore Festival is an international festival of folk songs and dances held in Ohrid from 6th to 11th of July. The festival has long tradition, which means it was established in 1962. It is a member of two UNESCO’s associations, CIOFF or the International Council of Organizations of Folklore Festivals and Folk Arts and IOFA or International Organization of Folk Art. At the beginning was just a festival of non-professional Folk Ensembles but since 1967, the concept of the festival has changed. This festival presents the tradition and the traditional beliefs passed through the generations of many countries through dances, songs, customs, national costumes and musical instruments. 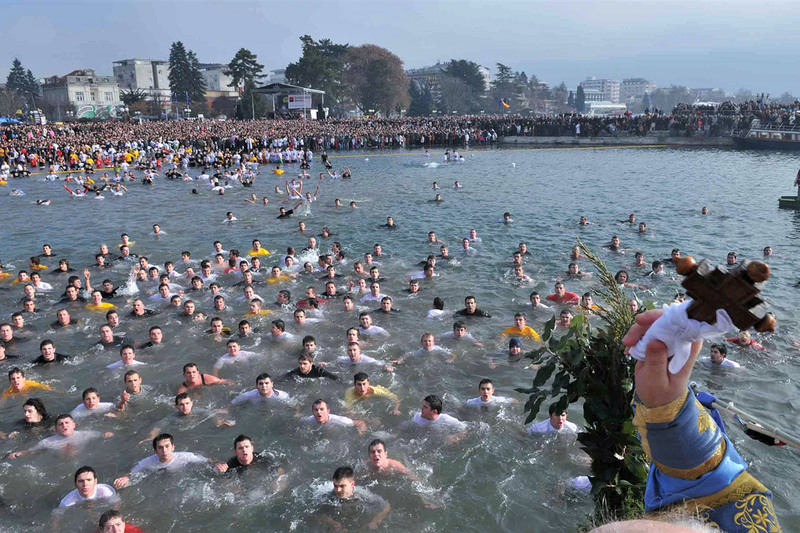 Epiphany in Ohrid is one of the most massive religious events in Orthodoxy, according to the number of visitors and believers who regardless of the cold water temperatures are entering in the lake in order to catch the Holy Cross. It is an act of consecration of the lake’s waters. It is held on 19th of January when many citizens are baptized in the holy water of the lake as a symbol of this huge holiday, the baptism of Jesus Christ by St John in the river of Jordan. Galicnik wedding is an annual manifestation held in the village of Galicnik, in the National Park Mavrovo. It represents a real journey through the Macedonian tradition in this part of the country. The traditional “Galichka” style wedding started in 1963 when the wedding lasted for 5 days with the main activities on 12th of July, St Peter’s day. It used to be the time when migrant workers were coming back to the native village and once there were 50 weddings held in one day. Today, it is a two day event held on the weekend nearest to 12th of July. Special Commission chooses the couple. The bride is dressed in the remarkable rich and traditional Galicnik wedding dress and the program includes all the traditional customs starting with the invitation to the dead relatives to the wedding farewell to the musicians when the wedding ceremony ends. The well known dance “Teshkoto” is also a symbol of the wedding, symbolizing the suffering of the Macedonian people through centuries. The fact that this practically abandoned village during the year, located on a 1450m of altitude, is a home of approximately 5000 tourists from each corner of the world during this spectacular traditional wedding proves that it is one of the best tourist attractions in the country. 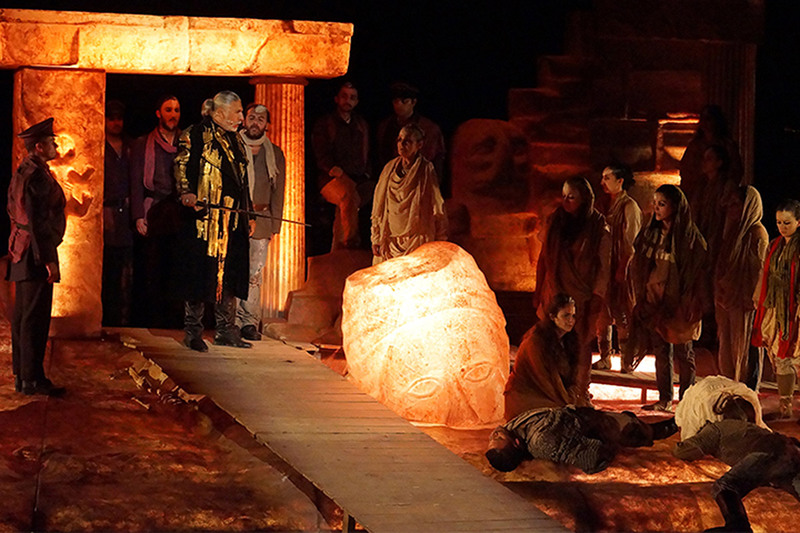 International festival of Antique Drama “Stobi” has been held for 16 editions so far and it is the second largest festival with this profile in Europe, after the one in Epidaurus. It started with smaller performances by the Veles National Theatre “Dzinot”, but today it grew into a serious international festival on which are shown performances on antique themes from all around Europe. The festival started at the Antique theatre on the archaeological site Stobi in 2001, but because of the restorations that are made in the past two years, the performances are set in the new building of the National Theatre in Veles. In the language of the statistics, around 7 to 9 thousand people visit the festival each year from all parts of Europe. Because of its international character, the festival is a bridge between cultures that cultivate the antique drama in all its genres: from classical directions up to modern and contemporary readings of the antique plays. International Theater Festival is a famous festival held annually, each September, in the capital of Republic of Macedonia, the city of Skopje. It was established in 1976 and it is open to the experimental theater, to the contemporary dance and to the new forms of circus and street theater. 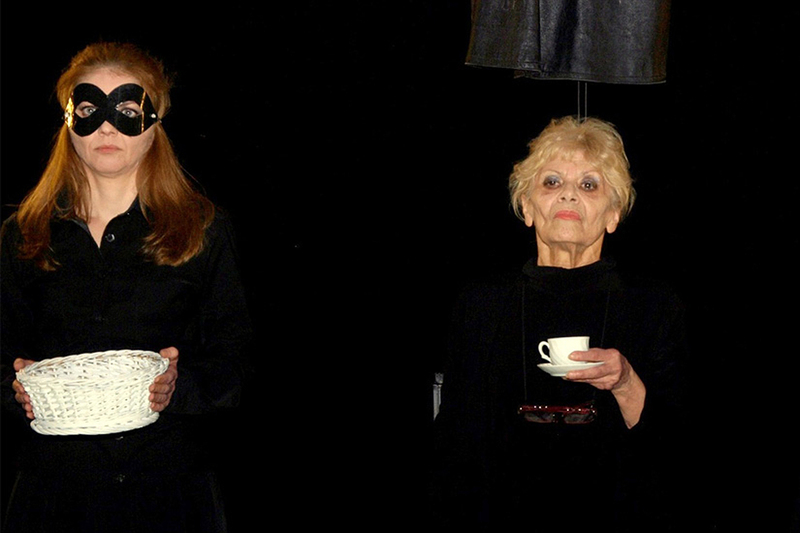 MOT is a member of the Informal European Theater Meeting in Brussels and the Mediterranean International Theater Institute in Madrid. 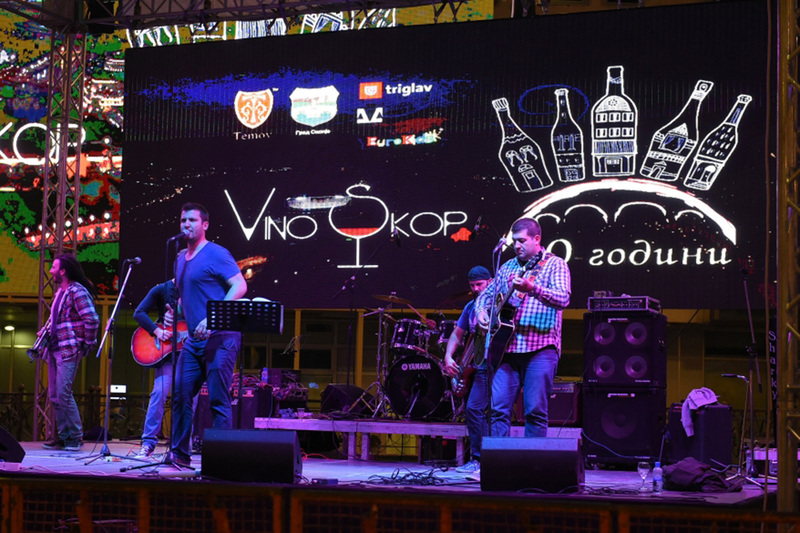 International Wine Festival VINO-SKOP was established in 2007 and it is held in the city of Skopje. Its goal is to present the long tradition in wine producing in the country through professional wine tasting and sale of quality wines. This manifestation has an international character and offers the opportunities of foreign wineries to present their culture in this branch. 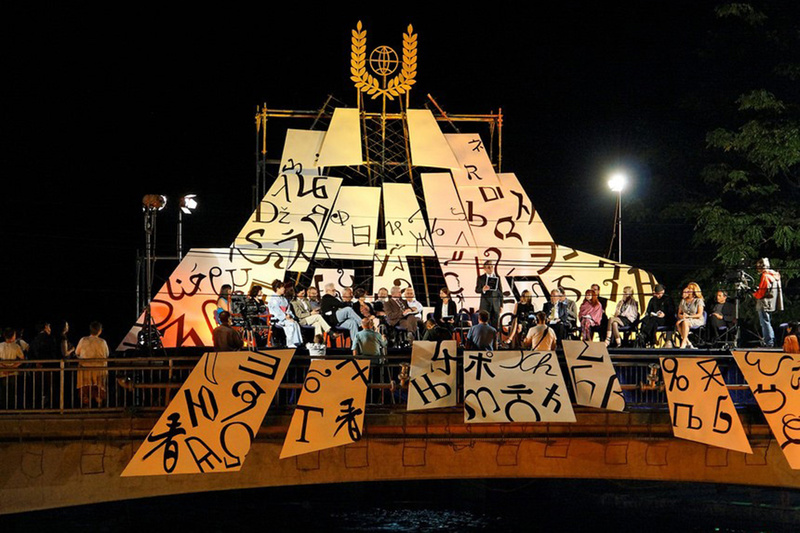 During the festival there is a cultural and artistic program for the entertainment of the visitors. Manaki Brothers Film is an international film festival held annually, in September, in the city of Bitola and dedicated to the name of the first filmmakers on the Balkan Peninsula, Yanaki and Milton Manaki who were filming the first motion pictures about the daily life of the citizens in Bitola and their situation under the rule of the Ottomans. The festival started in 1979 and it was an initiative of one of the main founders – the Macedonian Film Professionals Association. In 1991 it was transformed into an International festival of world cinemas represented with feature films, competing for the three festival awards: Golden, Silver and Bronze Camera 300. The Club of Greats awards the two highest, honorary awards: “The Lifetime Achievement Award Golden Camera 300” and “Special Award Golden Camera 300” for outstanding contribution to the film art. 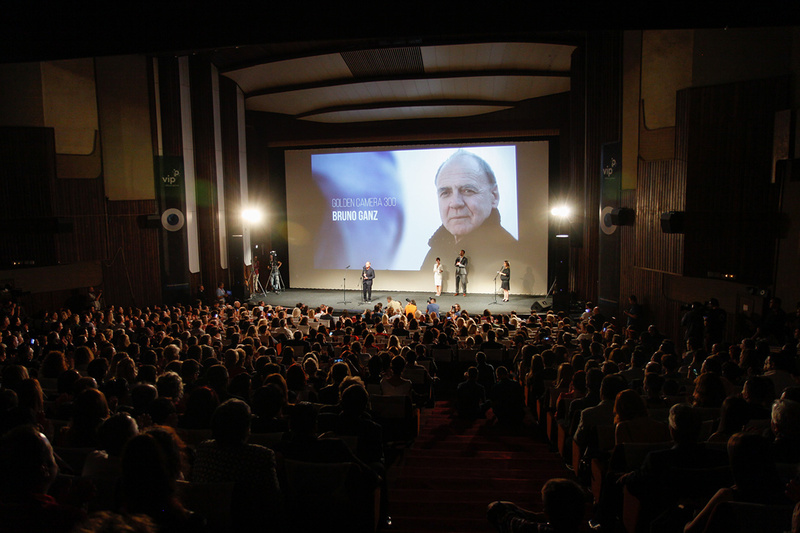 This festival held in the Center of Culture in Bitola hosted celebrities such as Isabelle Huppert, Juliette Binoche, Catherine Deneuve, Rade Serbedzija and many others who contributed to the great reputation of this manifestation. 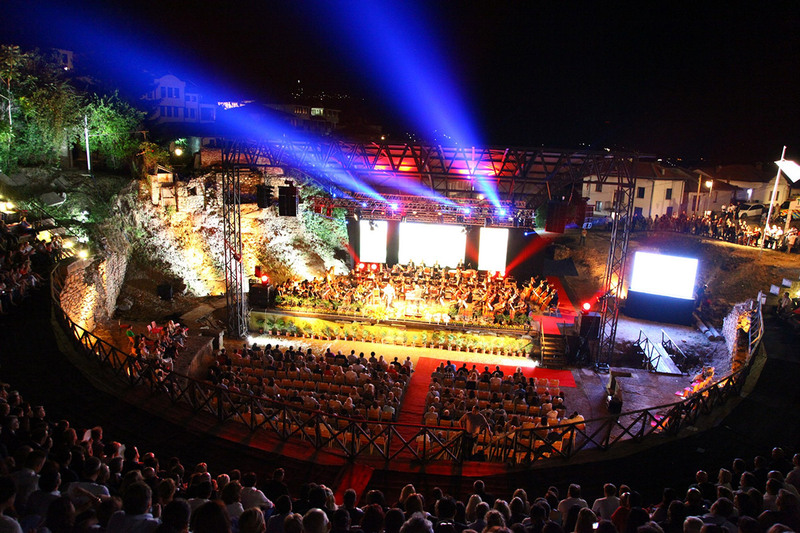 Ohrid summer festival is held annually from 12th of July until the 20th of August in the city of Ohrid. The festival was established in 1961 and it is one of the most prestigious manifestations in Macedonia and abroad. Since 1994 it is a member of the European Festivals Association. The first performance was held in the church of St Sophia in the old part of the city when it was decided that this temple of the orthodoxy can be transformed into a temple of art. Today, with the representatives of the diplomatic core, representatives from the Macedonian government, many visitors from different parts of the world and under the auspices of the President of Macedonia, the opening ceremony is held on the Antique Theater in the Old Part of the city. Many world renowned musicians have been a part of this festival, such as Zubin Mehta, Ennio Morricone, Jessye Norman, José Carreras and many others. 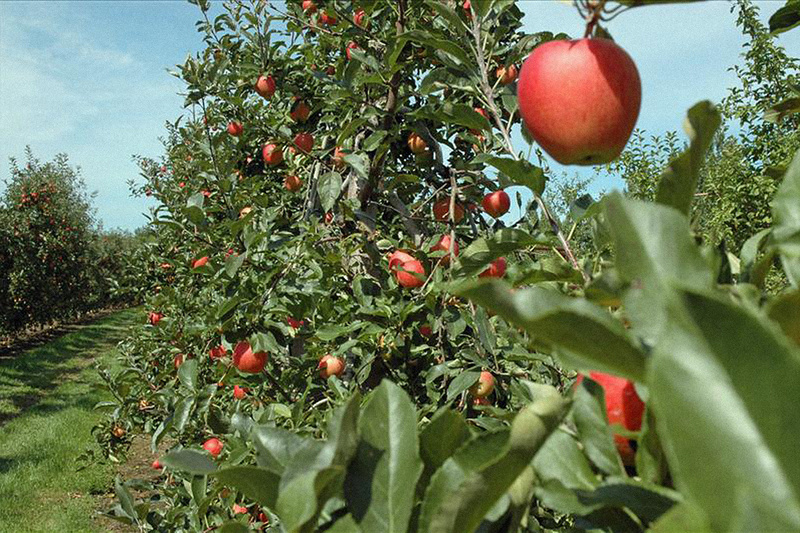 Prespa apple picking is held in September, marking the beginning of the apple harvest in the region of Prespa. This is the region in Macedonia recognizable by the plantations of apple trees. This manifestation covers activities in the field of agriculture, culture, tourism, sport and art. If you are interested in experiencing the beauties of Macedonia by working together with the local population of this beautiful region, this is the right manifestation you can attend. 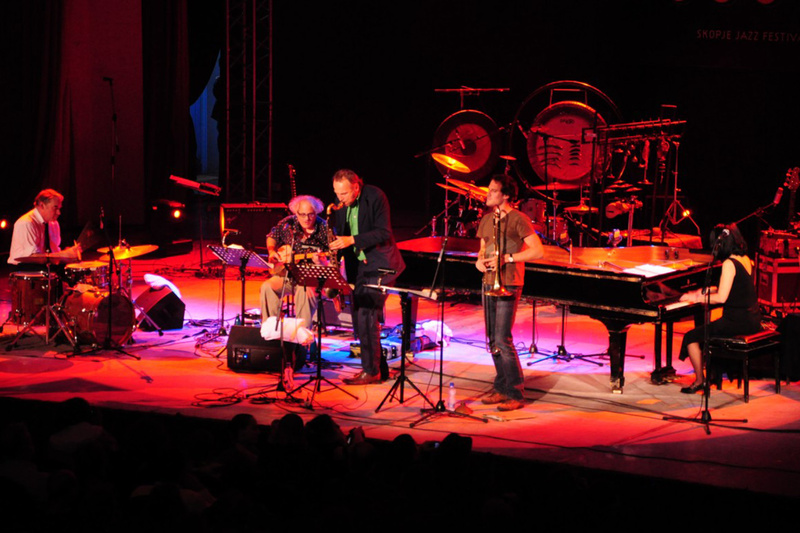 Skopje Jazz festival is held in the capital and it is one of the most famous festivals in the country with a long tradition of 35 years. The Festival was established in 1982 and is a member of Europe Jazz Network. OFFest is a festival focused on different categories of world music held in late May and early June. OFFest is a member of the European Forum of Worldwide Music Festivals. SJF Records is a record label whose goal is to give support to new and talented jazz artists from Macedonia and to produce and release their work. Struga Poetry Evenings is an international poetry festival held annually. The festival began in 1961 with Macedonian poets only and in 1963 the program was extended with poets of former Yugoslavia. Since 1966, the festival got an international note. It is held in August, on the Bridge of Poetry in Struga, with a beautiful opening ceremony that consists in traditional reading of the Macedonian poem “Longing for south” from Konstantin Miladinov. The prestigious Award is the Golden Wreath. Many notable poets were awarded on this cultural manifestation, such as Pablo Neruda, Miroslav Krleza, Joseph Brodsky, the first President of Senegal, Léopold Sédur Senghor, Blaze Koneski, really important figure who contributed to the codification of the standard Macedonian language. Strumica Carnival is an annual manifestation held for the first time in 1970 in the city of Strumica. The date for the carnival changes each year because it depends on the date of the Easter. The carnival is connected to the “trimeri days” or the beginning of the Easter Lent. They always begin on the so called Forgiveness Sunday and the traditional carnival night is always on Tuesday. It is also the only festival in the country dedicated to the engaged girls and during the festivity masked groups visit the home of the engaged girls where the girl should recognize her fiancé. Each individual or group is having the right to choose the mask and the theme connected to it. The masks should be up to 3.5m high and the vehicles up to 12m long. 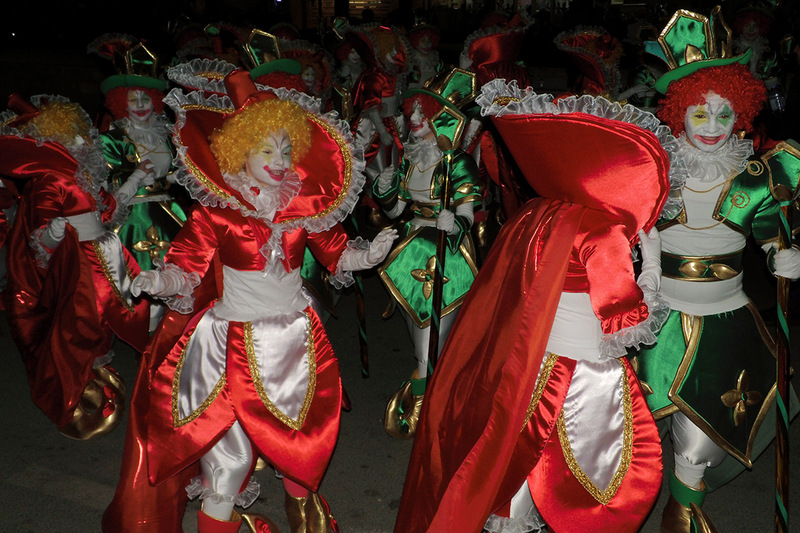 Since 1994, Strumica carnival is a member of the International Association of Carnival Cities. 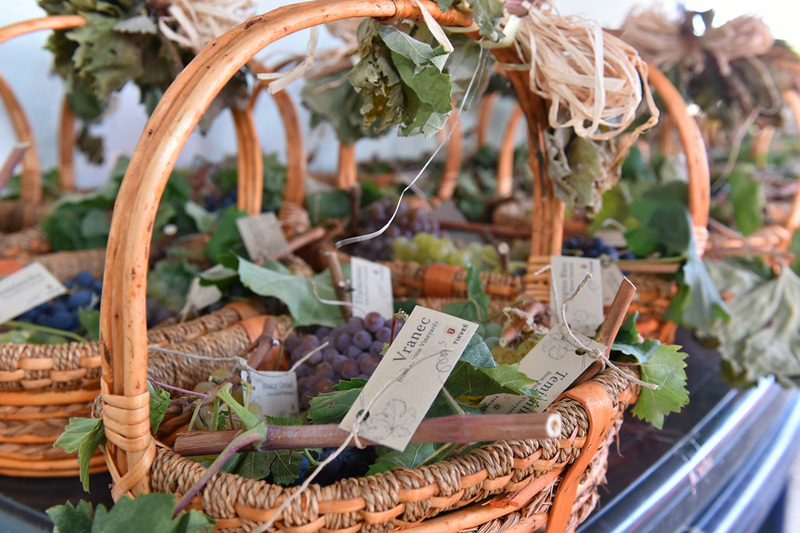 Tikvesh grape picking is a manifestation established in 1964 and held in the city of Kavadarci, the home of the oldest and the largest winery in the southeastern Europe. The festival is held annually, each September, marking the beginning of the harvest. It has cultural, economic and touristic character and it is a symbol of the long tradition in wine producing, starting during the Antiquity and up to present days. The festival includes cultural program as well and it culminates in a carnival procession. Vevchani Carnival has over 1.400 years of long tradition. 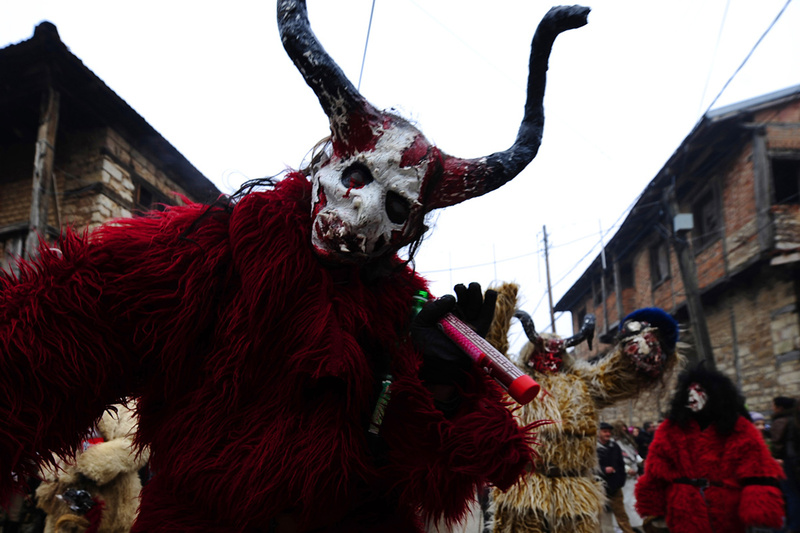 It is a mix of paganism and modernism held every year in the Municipality of Vevchani, on 13th and 14th January. It is the eve and the first day of the New Year according to the old calendar. The festivity is dedicated to St Basil the Great. Since 1993, Vevchani Carnival is a part of the World Federation of Carnival Cities. There are three traditional masks, the bridegroom and the bride, the musicians and the August the Stupid or young people who are communicating with the audience with gesticulations. Despite the traditional masks, the rest of the inhabitants are showing their creativity in masks that are real parody of the current events. The burning of the masks is the sign of the end of the carnival, symbolizing the end of all the bad things of the previous year and beginning of a new start in the following one.